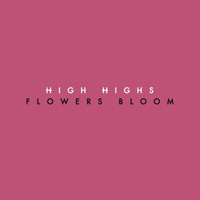 Last year, I posted High Highs’ impressive “Open Season,” a track I said “evokes the Morning Benders ramshackle folk-pop by way of XO-era Elliott Smith.” “Flowers Bloom” shows a different side of the band but deserves the same high praise: exchanging acoustic guitars for static-y drum and synth programming, it’s as gorgeous and forlorn as any of last year’s best-of-’10 dream-pop efforts. What sound the group’s debut album will favor is anyone’s guess, but I can’t wait to hear it. Look for them at SXSW in March.